4 Ajaw 8 Sak. Drawing by Jorge Pérez de Lara. Young people from the community of Maní were invited to participate in an epigraphy workshop. The place: U Tuch Lu’um (“naval of the land”), Maní, Yucatan. Igor Xoyon and Karina Koy for their work giving beginner and intermediate-level workshops that allowed many of the students to participate in the advanced workshop. Alejandro Garay for his superb efforts in coordination and logistics. Antonio Cuxil for offering to serve as tour guide during the visit to the ancient Maya city of Quirigua. To the team of Dirección General de Desarrollo Cultura y Fortalecimiento de las Culturas, whose arduous efforts handled the muliple details of making the workshop happen. It is hoped that we maintain this collaboration between institutions and individuals to make possible the continuation and persistence of teaching Maya epigraphy in Guatemala. Today’s blog was submitted by our long-time colleague and co-organizer of the up-coming Third International Congress of Maya Epigraphers in 2016 (more about that in coming announcements), Ajpub’ Garcia Ixmatá, Tz’utujiil-speaker and resident of Antigua, Guatemala. 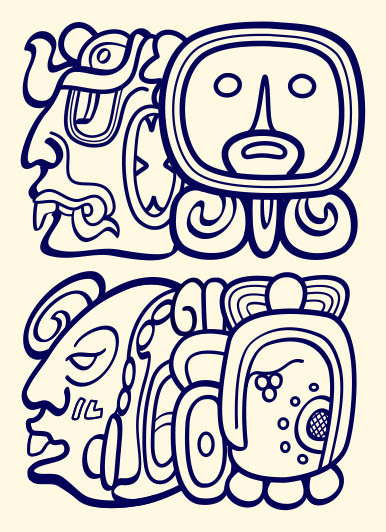 Again, appreciation to the foundation Mayas for Ancient Mayan for the support offered for the teaching of Maya epigraphy and the Maya calendars. This workshop occurred on March 27, 2015, in the community of San Pedro Cutzán, Suchitepéquez. This event happened with sixty boys and girls of the “basic level,” and among them three teachers. The majority of the youths are speakers of Maya Tz’utujiil. The themes we focused on were the following: ancient writing, the calendar of 260 days, and the territorial Mesoamerican spaces where Maya cities (archaeological sites) are found today. 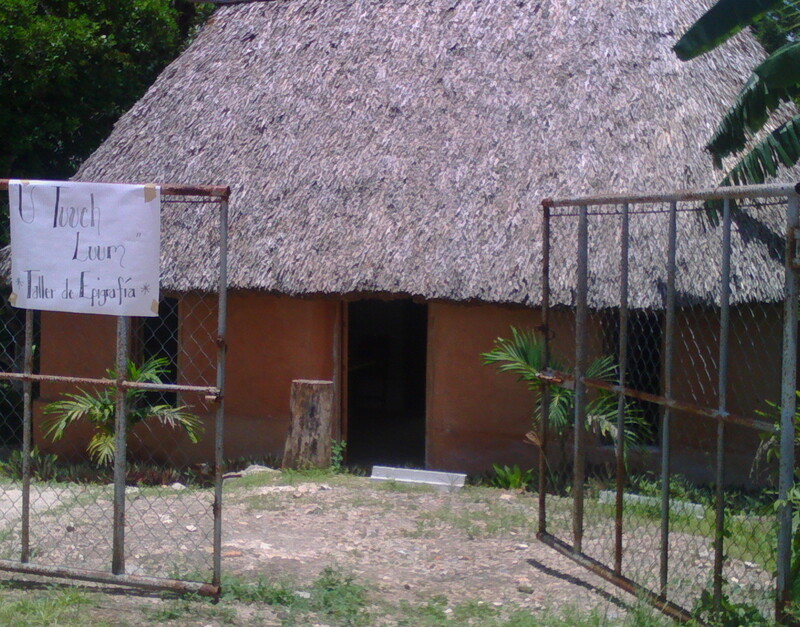 “Basic Level” institute, San Pedro Cutzán.